The highest salary secured by a student in IIT Bombay's B-School is Rs 32.4 lakhs while the average is over Rs 20 lakhs. The final placement of class of 2019 in Shailesh J. Mehta School of Management (SJMSoM), IIT Bombay concluded successfully and it saw the batch achieving 100% placement within three days of on-campus recruitment process. The highest salary secured by a student in IIT Bombay's B-School is Rs 32.4 lakhs while the average is over Rs 20 lakhs. 38 companies made 112 offers in the process. In addition to legacy recruiters, the School also witnessed new recruiters such as OYO, HSBC, Tata Global Beverages etc. and students bagged coveted roles from desired domains. 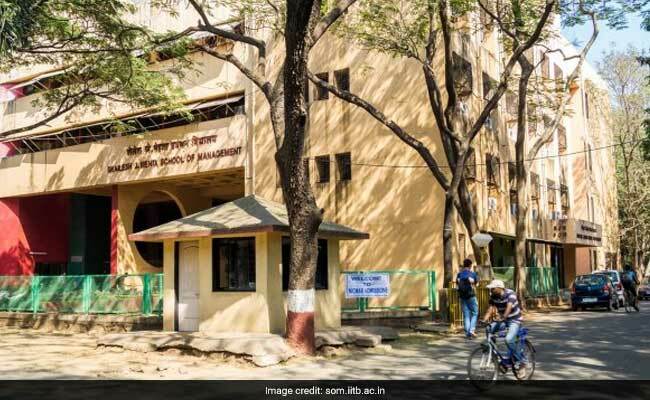 SJMSoM, IIT Bombay proved itself to be one of the best B-school in the country for recruiters as well as students, said a statement from the School. Housed within IIT Bombay campus, the School of Management has shown tremendous growth in terms of quality of students, pedagogy and especially its placements, said the statement. NIRF Ranking of B Schools in 2018, by HRD Ministry, placed SJMSoM, IIT Bombay at fifth rank. Compared to last year where the average CTC was Rs 19.06 lakhs with 112 offers for a batch size of 107 students, this year's CTC is much higher. The top 20% of the students had an average of Rs 25.24 lakhs, and top 50% of students Rs 22.59 lakhs. This year saw continued excellence and a holistic effort from all stakeholders which pushed the average even further to above Rs 20 lakhs. The placements were conducted across three days, with people getting placed in interesting job offers from industrial behemoths such as P&G, Google, PwC etc.